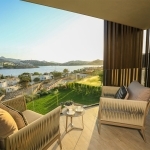 An exclusive property is inside of one of the best complex in Bodrum. This property gives you a private beach and mooring so you can have your boat at your home and is located right next to Palmarina. 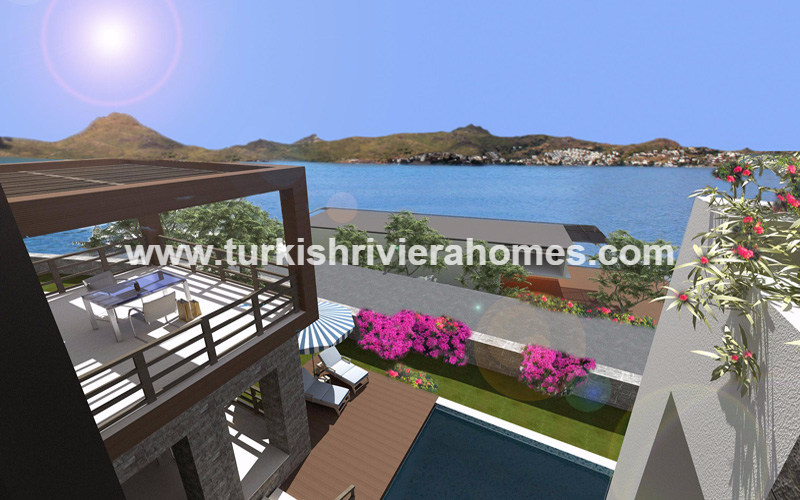 The property is found in Yalikavak and is very close to Palmarina which is the most luxury marina in Bodrum, but if that wasn’t enough the property is found inside a luxury complex with private tunnel that leads out to an exclusive and private beach club with mooring facilities for private access all day. 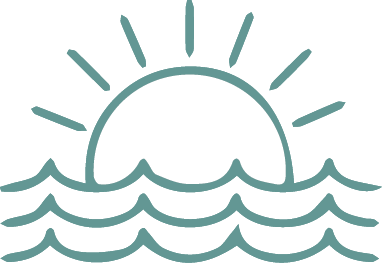 You can leave your villa and walk to the beach through the tunnel or you can relax in the premier location and eat high quality food at the local restaurants which are only a few minutes away. 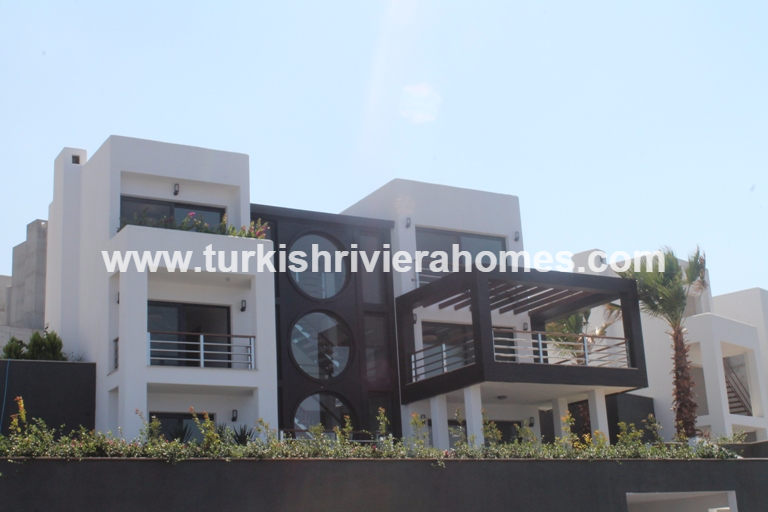 There are only 12 villas build inside this project and they are set amongst tree lined roads and designed with the best design in property levels today. 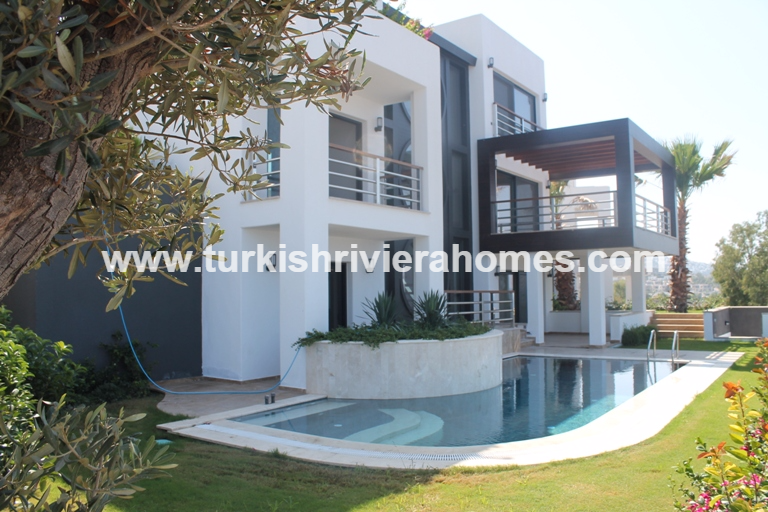 The villa has a grand entrance with high ceilings and a modern inside. On the ground level there are two double bedrooms both with dressing area and en-suite bathroom. 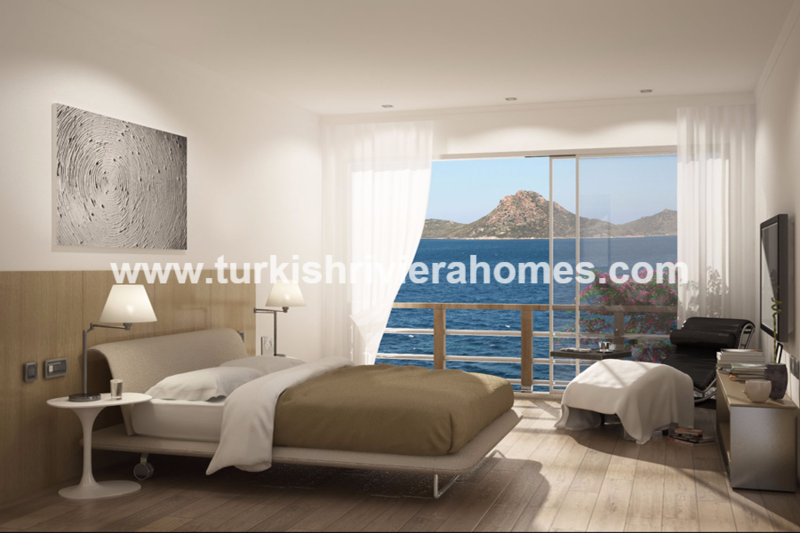 The bedrooms can access private terraces looking to the sea and marina. Also on the ground floor is an open plan living area where there is a kitchen, dining area, and lounge. The kitchens have been made using Italian design and are stylish. On the top floor there are two master bedrooms with walk-in dressing rooms and en-suite beautiful bathrooms. Again both of these bedrooms can access private terraces looking to the marina. If you go outside there is a private garden with swimming pool and landscaped gardens with room. You can access the beach by walking through the tunnel and also sail, the beach is only for residents who own properties here so it is very private and quiet. 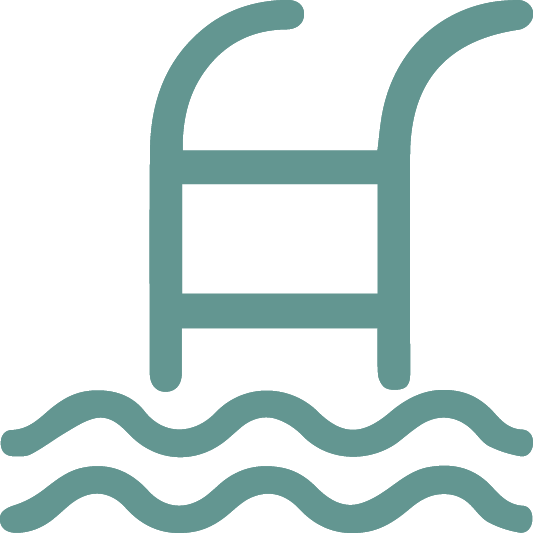 Car parking is also there for residents with vehicles. 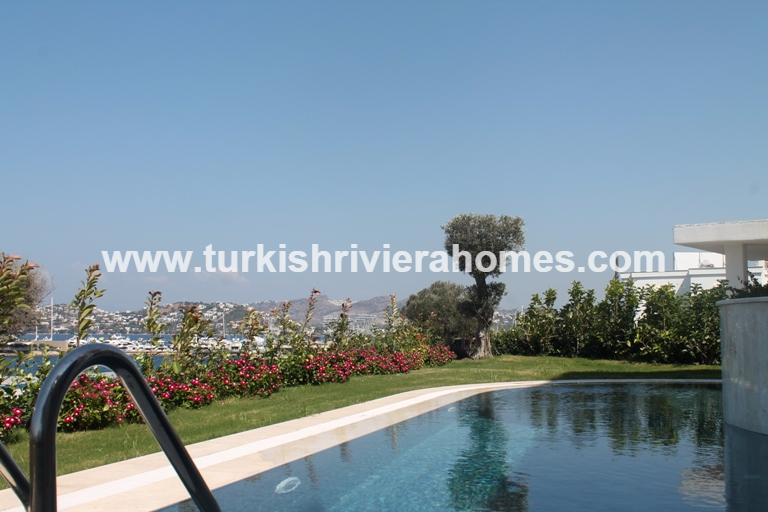 This is one of the best villas in Yalikavak and has sea and beach very close so if you want to live just one minute away from the sea then we recommend this villa with lots of space and modern design. 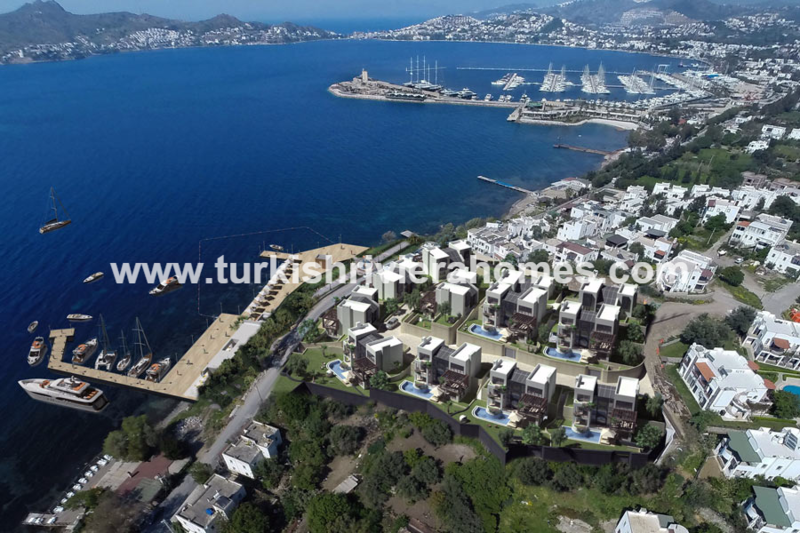 Yalikavak has Palmarina Bodrum and is one of the most luxury locations with beautiful sunsets, great properties, and luxury amenities, so please contact us and we will get back to you shortly.